"The scientific pretensions of economics have been seriously questioned in recent years. Macroeconomists failed to predict the financial crisis and then failed to agree on either the causes or the solutions. It pained me when even my mother began to wonder whether economists were as useful as dentists. 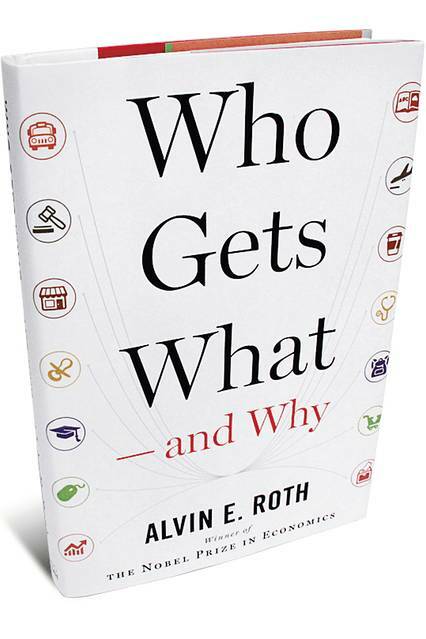 Alvin Roth’s “Who Gets What—and Why” is the book that I shall give to mom to redeem my profession." "“Who Gets What—and Why” is a pleasure to read. It’s also a pleasure to discover that rare species, a humble economist. Humble but useful." "One of the most interesting aspects of the book is that Roth has created a new typology of market failure but a very different way of addressing such market failures. Read the whole review for more"